This is a rectangular Jenson & Nicholson porcelain sign. This particular Jenson & Nicholson sign is very colorful. 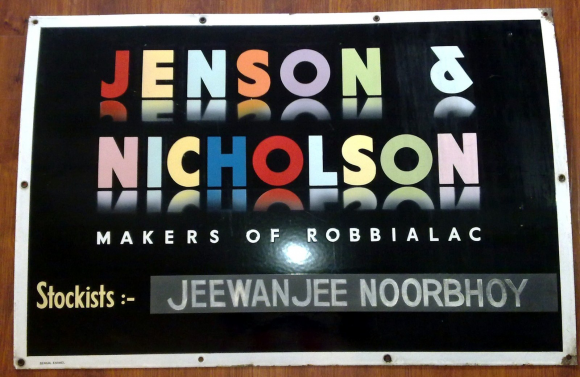 It reads, “Jenson & Nicholson, Makers of Robbialac, Stockists:- Jeewan Jee Noorbhoy” and features multicolored letters against a black background.